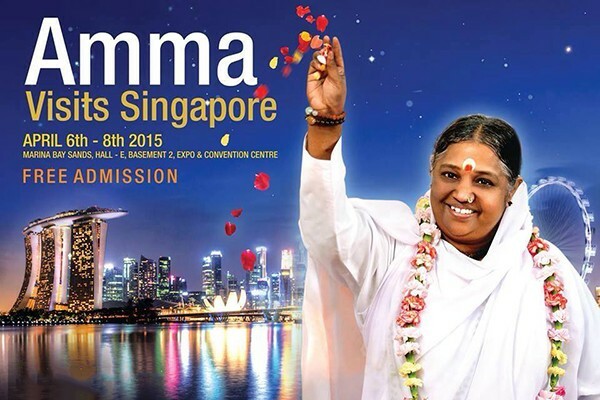 Amma to visit Singapore, Malaysia and Australia from 6th April to 20th April. Pankaj, from the flood devastated state of Uttarakhand, was one of twenty one men and women who just completed a one month Health Worker Training Course in Amritapuri as a part of Amrita SeRVe’s 101 Self Reliant Villages undertaking. The group was invited from villages in Bihar, Chattisgarh, Rajastan and Uttarakhand. During the course, they learned skills that will help educate their rural communities on health related issues. Hemalata Bist, a twenty-eight year old mother of two from Uttrakhand, enjoyed the classes, which included a two-week program at AIMS – Amma’s hospital in Cochin. There, they learned to recognize the symptoms of diseases and the importance of hygiene. 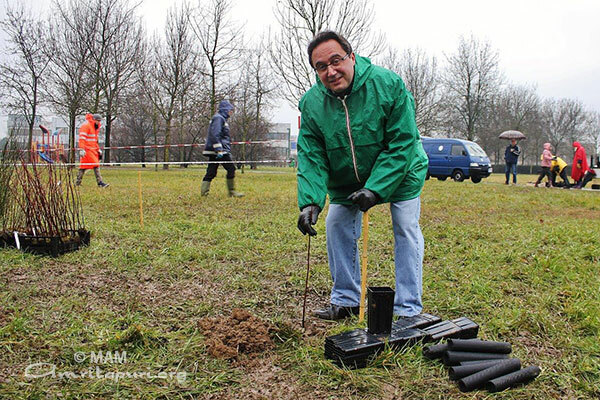 Participants attended workshops ranging from first aid, basic hygiene, and early detection of diseases, to waste management, compost making, recycling and re-using plastic, building smokeless stoves, and making natural water filters. 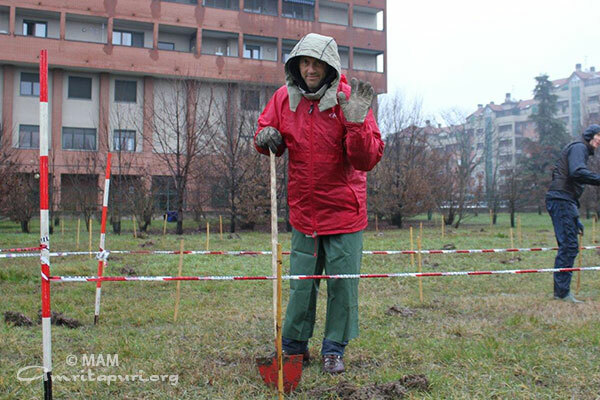 Participants also learned about pesticides, organic farming and how to start a vegetable garden. 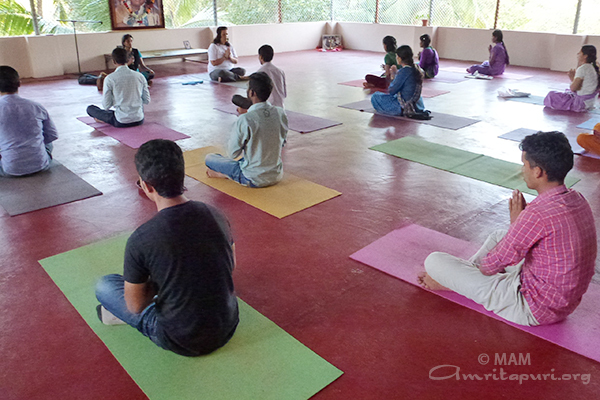 Daily yoga classes were also given. P. Ganga Reddy, from Chattisgharh, was surprised to learn that washing one’s hands is an important disease preventative. “I will tell everyone in my village that by washing their hands regularly they can avoid many serious illnesses,” she said with an excited smile. 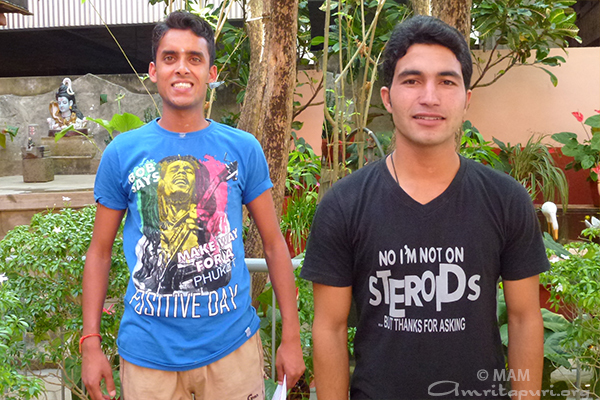 Pankaj said, “I feel as if I was born here. Everyone is very loving to us.” Everyone in the course agreed. 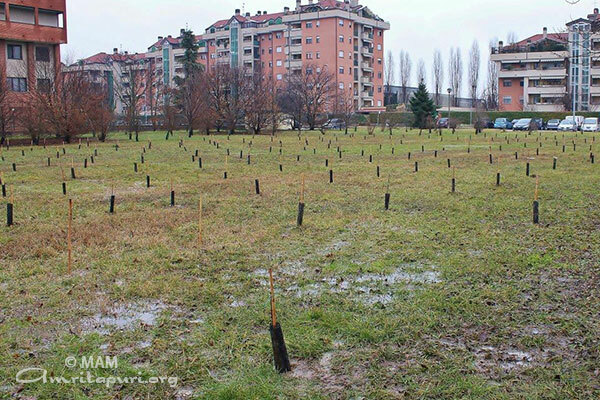 Inspired by Amma’s message to save the planet, Italian devotee volunteers took to planting 600 trees in a town near Milan in Northern Italy. 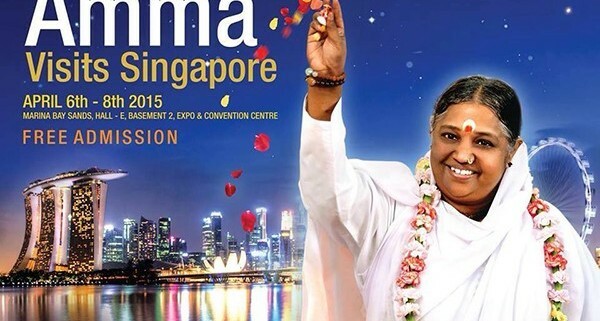 Taking Amma’s message to the heart, the volunteers took to action. 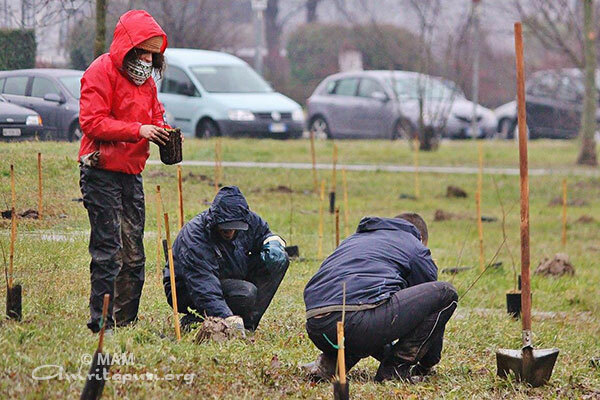 Caring not for rain or snow on a rainy day, volunteers put into action an InDeed initiative of planting more than 600 trees in Buccinasco, a town near Milan. This was not Amma’s first visit to Virudunagar. She had been here just two years before and it was around midnight when she arrived then. Tonight, Amma reached here just past 8 pm. Amma was also here 30 years ago when she held a program in the Kali Amman Temple. 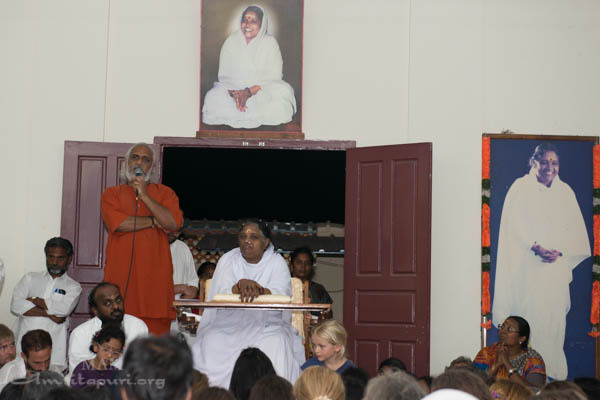 Amma continued, “The flowers were the same, but they gave two different experiences to two different people. That was due to the difference in their mindset. Likewise, in God’s creation, there is perfect harmony and it is the human mind that brings disharmony. It is the selfishness of human beings that has affected the harmony of the world. “A knife can be used to stab a person, or by a doctor to save another person. Fire can be used to either burn down a house or to cook food. It depends on how we use it. Instead of blaming God for the problems that humanity encounters, let us strive and rectify our mistakes. Let us not hurl verbal abuses on our father (God). Instead of blaming, let us do whatever is possible for us to help someone. 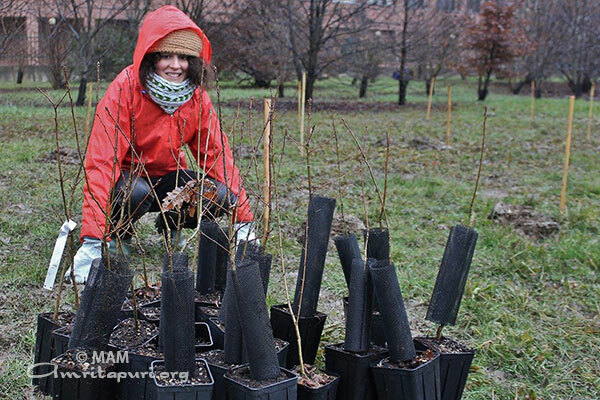 Seeing your selfless actions, your friend might feel inspired to perform selfless actions as well. Thus, selflessness spreads to others. Amma next told the story of a goose that lays a golden egg every day. “The owner was greedy. He cut open the stomach of the goose to find more eggs. Human beings can be likened to the person who kills the goose out of greed for more eggs. “Some people ask, ‘Isn’t it enough that we do charity? 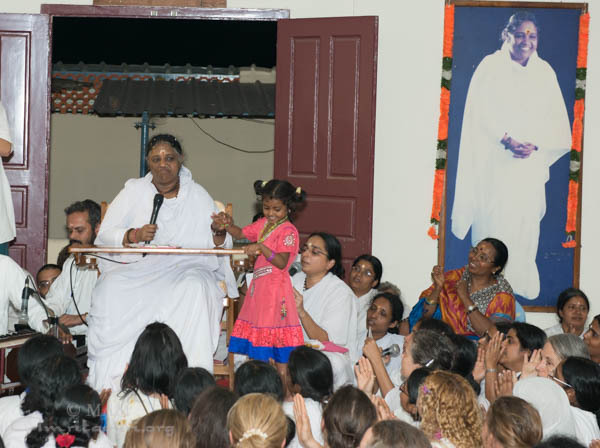 Is there any need to know spiritual principles and to practice these?’ Amma says, yes, it is good to do charity. But spiritual understanding is most needed. Suppose a person gives Rs.1000 to a stranger. After receiving the money, the beggar may think that this donor is so rich, so he may stab the donor at night and steal his wealth. When we give we should give with Shraddha. Even then we may be abused or derided but we have to understand that this is the nature of the world. If you have this understanding you will not be upset. Having the right spiritual understanding is what is needed the most. So merely doing charity is not enough. Shivaratri was celebrated at Amritapuri with enthusiasm and devotion last night. 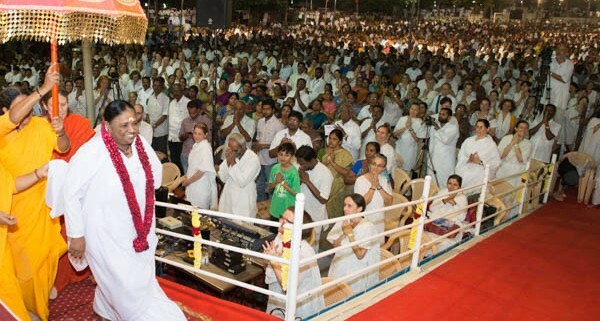 Around midnight, Amma held a special bhajan session and led the assembled crowd in singing soulful Shiva bhajans. 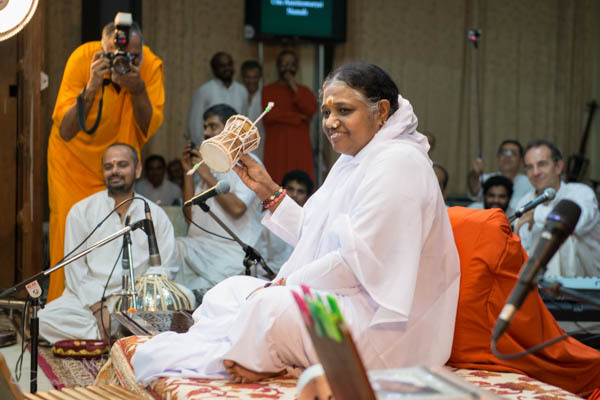 Before concluding, Amma asked even everyone to stand up, forget themselves and dance to the tune as she sang “Bolo Bolo Sab Mil Bolo.” After the bhajans, Amma led everyone in a beautiful visualization and meditation for world peace. She asked each person to pray with utmost sincerity, and if possible to shed a few tears in prayer, for the peace and well-being of the whole world. 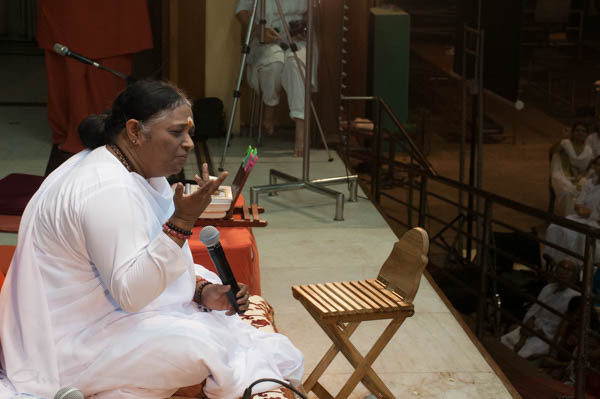 Speaking on the occasion Amma said, “For those who are immersed in myriad thoughts of worldly life, all holy days are occasions to remember the God, the Supreme, and to become more aware of the ultimate goal of life. 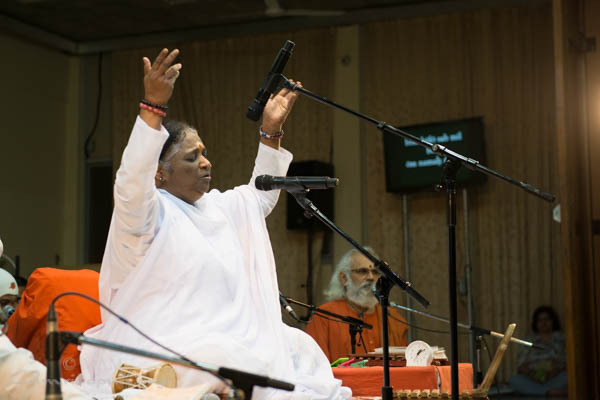 When many thousands of people remember the Divine with a one-pointed mind, perform actions dedicated to God, and engage in worship, the very environment becomes pure. Then, thinking of God becomes effortless for others, too. “In one respect, Shivaratri is different from other festivals, which give importance to prayer and worship. But Shivaratri emphasizes sacrifice and austerity. It is also a day to remind ourselves about the goal of life and to examine how far we have progressed in spiritual life. At present, most of us give considerable importance to food and sleep. Shivaratri conveys the message that one should set such preferences aside and enshrine God instead in our hearts. If we can dedicate at least one day a year to giving God utmost importance in our lives, treating this as a sacred pledge, the resulting samskara (impressions) will certainly help to make our lives more God-oriented gradually. 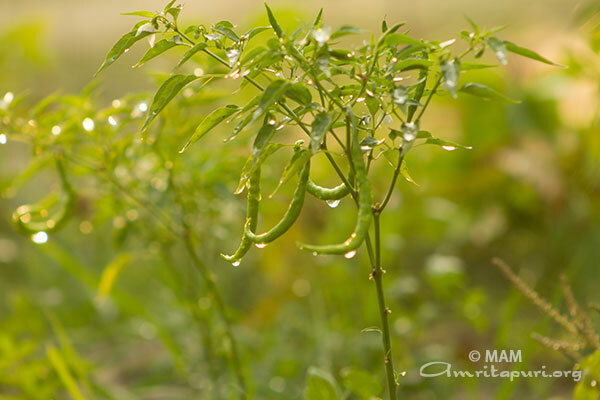 “Shivaratri, which is celebrated at the end of winter, points to the arrival of spring in India. There is an inner meaning in this. When the light and warmth of knowledge thaws the mind that is benumbed by inertia and ignorance, the flowers of joy and peace start blossoming. 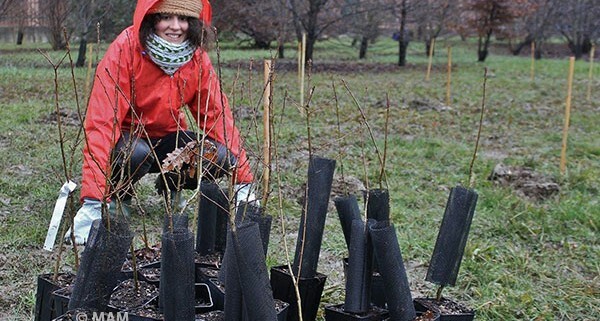 The change of seasons is characteristic of the outer world. However, if we try, we can control our inner weather and temperature, and even make it unchanging. To do so, spiritual knowledge is necessary. “When we are steeped in the pains and pleasures of this world, we do not think of the Lord of the Universe, who bestows everything on us. When we experience creation, we do not remember the Creator. We are bewitched by the maya (delusory power) of creation. As a result, we lose a great opportunity to experience supreme bliss. It is difficult for someone who is predominantly tamasic (dull) or rajasic (action-oriented) to discover the divine principle hidden in creation. Such a mind pursues creation as an inexhaustible mine of material pleasures. On the contrary, the attention of a person who is predominantly satvic (calm) turns God-ward. By observing the vows associated with Shivaratri, one fosters sattvic qualities. “Lord Shiva is Gangadhara, the bearer of river Ganga. He holds the Ganga, which is of the nature of immortality, on His head eternally. Ganga is synonymous with gentle coolness. No matter how turbulent the situation, the Lord’s head and inner realm remains peaceful. Though the head is cool, the heart is always warm with compassion for the world. In order to save the world from the detrimental effect of the all-destructive Kalakuta poison, Paramashiva, the Supreme Lord, drank it. Through His personal example, Lord Shiva teaches us that what we need is a cool head and a warm heart. But what we see in the world today is the very opposite: most people are hot-headed and cold-hearted. Everyone’s head is heated up by worldly thoughts, and the heart has become frosty with selfishness. If our head is cool, we can face the most adverse circumstance peacefully and turn it to our advantage. 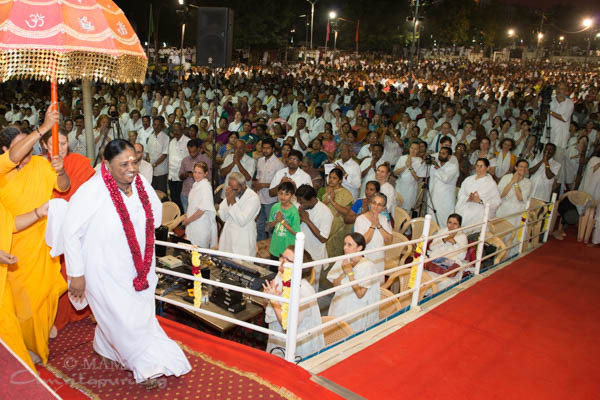 Amma’s second leg of Bharata Yatra started from Amritapuri on Thursday, Feb 26. 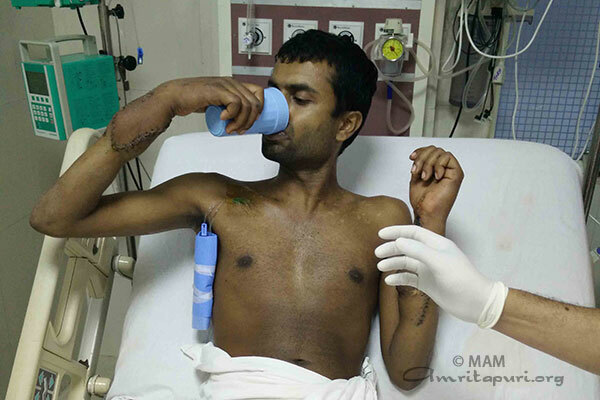 India’s first double hand transplant was carried out successfully at the Amrita Institute of Medical Sciences, Kochi, on 12-13 January 2015. 30-year old Manu lost both his hands in a tragic accident three years ago when he was pushed out of a running train after confronting a group of thugs who were harassing a women passenger. 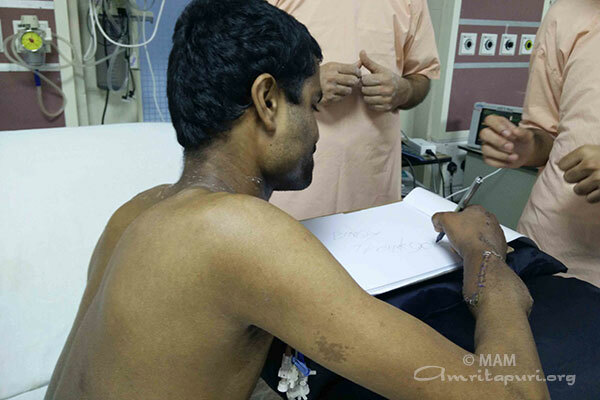 Hailing Manu as a hero, the pioneering surgery was paid for by Mata Amritanandamayi Math. The donor was Binoy, a brain-dead 24-year-old bike accident victim. 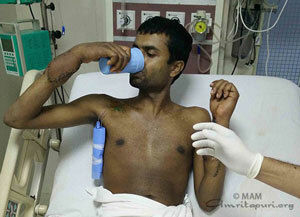 BInoy was an artist and had cared for his paralytic father, giving him daily baths and massages. Binoy’s family decided to donate their son’s hands to give Manu another chance at leading a full and active life and to render a measure of meaning to their own heartbreaking tragedy. Health experts across the world are closely monitoring this historic operation and Dr. Iyer noted that the operation was carefully documented. The gold medal winners of the National Games women Rugby competition from Odisha came to Amritapuri and met Amma. They had never met Amma before but had heard of Amma from the hotel they stayed in Kollam. 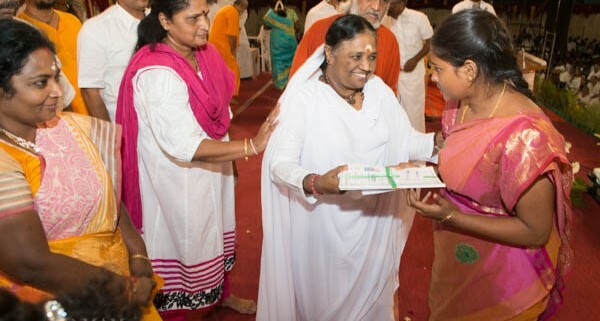 Right after the award ceremony they surprised the organisers and the local officials assembled there by declaring that they their one wish was to go and have Amma’s darshan. The Collector then told the organisers that if that was their wish then they should try to fulfill it. That was how we saw a bedraggled group of school-girls fresh off the field, in their jerseys, bandages and tapes around their knees and elbows, gold medals dangling from their necks, with smiles on their face. 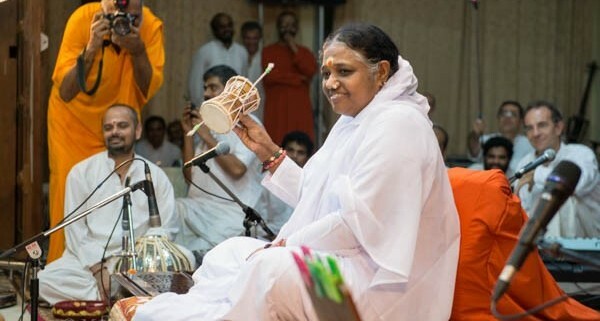 Amma had already finished bhajans and was in a meeting, but when She heard of their innocent desire Amma immediately called them. 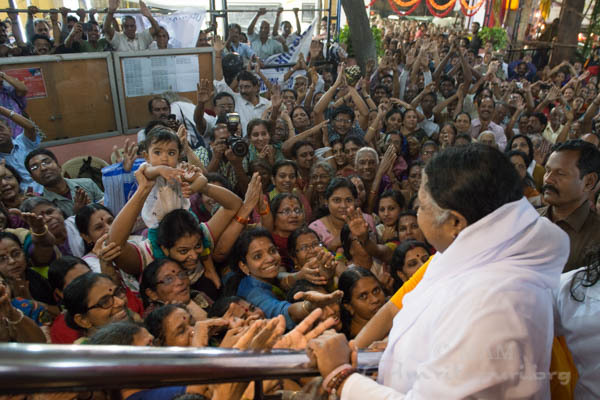 Their meeting with Amma was beautiful – their innocence and awe reflecting in their eyes and love shining from Amma. Amma said such sports persons who represent state and nation should be supported and promoted by the government too. They are the pride of the nation. Amma assured them help and instructed the Bhubhaneswar ashram local head to give them all possible assistance. When these 12 players and the team coach emerged from their meeting with Amma, we asked them – What did you feel? 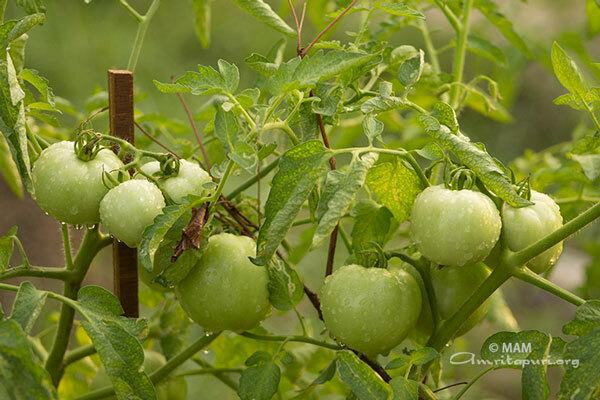 Encouraged by Amma’s message that everyone should be able to eat vegetables grown organically at least once in a week, the college students at Amrita University’s Amritapuri campus have started an organic vegetable garden using natural methods of cultivation. 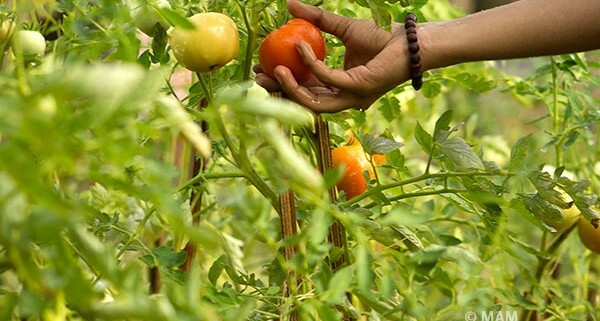 The garden is flourishing with the growth of colorful, delicious produce, including spinach, okra, tomatoes, tapioca, green chilies, cauliflower, pumpkins, and bananas. The students take turns coming every day to water and tend to the plants, with Wednesdays set aside for all the students to work together. 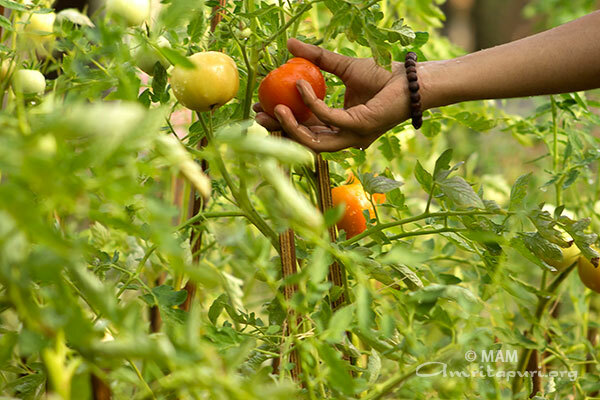 When a plant begins to produce fruits or vegetables, the students are always keen to offer these first gifts of nature to Amma. 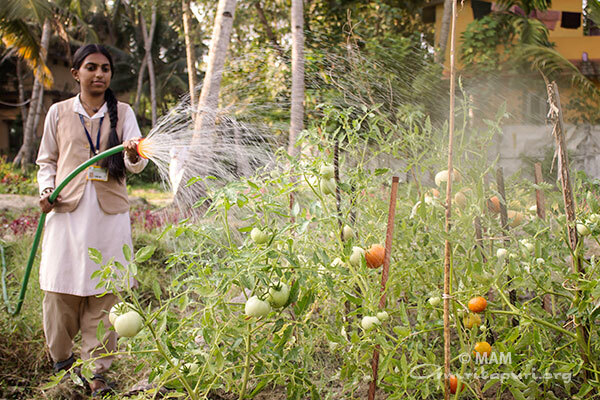 With their continued determination and enthusiasm, the students plan to expand the garden to accommodate a larger variety of fresh produce, with a long-term goal of making the Amritapuri campus 100% organic. 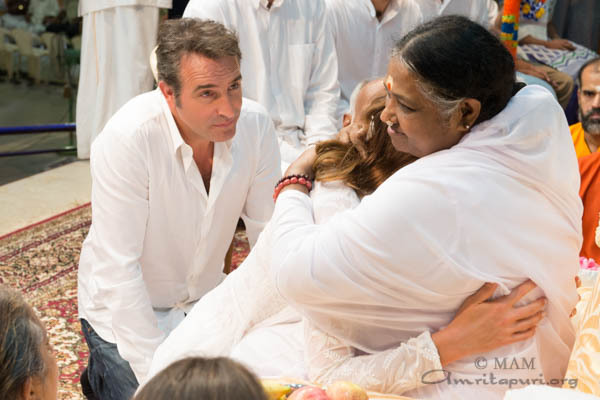 Amma received renowned French star Jean Dujardin and legendary French film Director Claude Lelouch, along with actors Elsa Zylberstein and Alice Pol. They were visiting Amritapuri​ to film scenes for Lelouch’s upcoming movie “Un Plus Une”. Mr. Lelouch has directed nearly 50 feature-length films and is considered one of France’s greatest filmmakers. His 1966 film “Un Homme et Une Femme won both an Oscar for Best Foreign Language Film and the Palme d’Or award at the Cannes Film Festival. He had met Amma in Amritapuri twice before in 2014. The film crew consisted of 82 members including actors, videographers and technicians. They spent an entire day at the ashram shooting various scenes at different locations. The film “Un Plus Une” (One plus One) is expected to be released later this year.